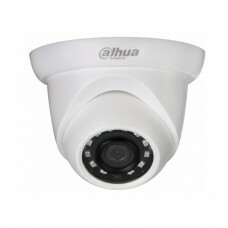 Dahua IPC-HDW1431S 4 Megapixel WDR IR Eyeball Network Camera delivers 4MP progressive CMOS resolution with a 2.8mm/3.6mm(optional).The camera's elegant blend of aesthetics combined with a range of easy mounting solutions provides an excellent choice for a variety of small to mid-size applications at an affordable price.Smart Codec technology reduces bit rate and storage requirements by up to 70% when compared to the standard video compression and optimized implementation of standard video compression (H.265 & H.264) that uses a scene-adaptive encoding strategy,dynamic GOP, dynamic ROI, flexible multi-frame reference structure and intelligent noise reduction to deliver high-quality video without straining the network.This Camera built-in intelligent analytic algorithm based on video, which can realize intelligent functions like Tripwire and Intrusion, It can enhance monitoring efficiency. 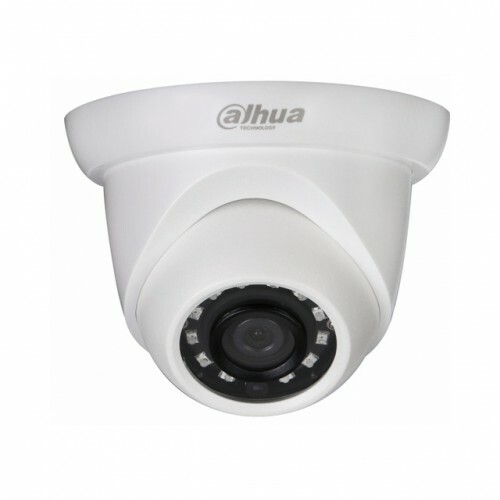 In addition, the camera supports intelligent tamper detection,to quickly and accurately respond to monitoring events in specific area, which is to generate warning message via detecting dramatic scene change and to guarantee effective video surveillance. For applications with both bright and low lighting conditions that change quickly, true WDR (120 dB) optimizes both the bright and dark areas of a scene at the same time to provide usable video. 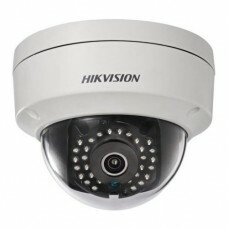 Smart IR technology prevents IR LEDs from whitening out images as they come closer to the camera. 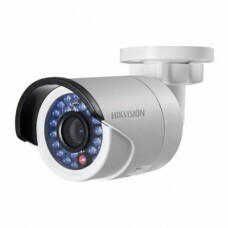 It operate in extreme temperature environments, rated for use in temperatures from -30° C to +60° C (-22° F to +140° F) with 95% humidity.The image flip feature allows the camera's image to be rotated in 90° increments for better video optimization.The camera conforms to the ONVIF (Open Network Video Interface Forum) specifications, ensuring interchangeability between network video products regardless of manufacturer.